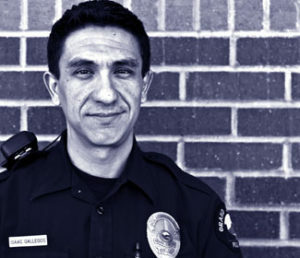 In Colorado, Officer Isaac Gallegos is a 13-year veteran with the Mesa County Sheriff’s Office. Unlike some, that simply become cops because that’s the traditional line of work in their family, Gallegos never thought he’d be on patrol. “Oddly enough, when I was growing up I never wanted to be a cop. Never even crossed my mind. I didn’t dislike police officers but I didn’t give it a second thought,” says Gallegos. He says that on television most police work is depicted as high-octane running and gunning but the job’s a lot more complicated than that. “You’re serving your community, these are your neighbors that me be getting involved in some sort of civil dispute. Maybe it’s not criminal, but they’re still going to call a police officer to come and help out. So, it’s really just being able to look at a problem in the community wether that’s a quality of life issue or if it’s a criminal investigation and coming up with a way to solve that problem”, says Gallegos. 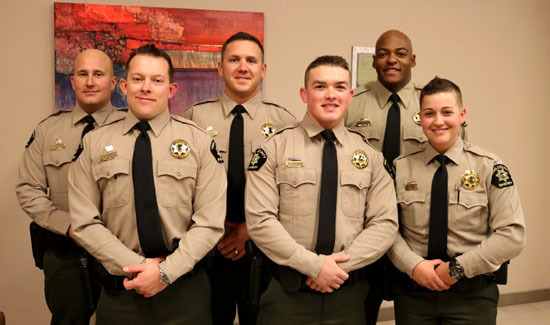 Oh yeah- they’re also hiring at the Mesa County Sheriff’s Office.